Diamond/Pearl It rests its forelegs on others to communicate with rhythmic electric pulses from its claws. Platinum Strong electricity courses through the tips of its sharp claws. A light scratch causes fainting in foes. Heart Gold By gathering their tails together, they collectively generate powerful electricity from their claws. 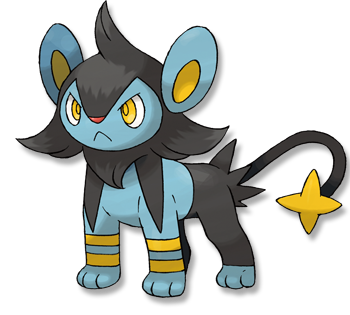 Soul Silver By gathering their tails together, they collectively generate powerful electricity from their claws. Black Strong electricity courses through the tips of its sharp claws. A light scratch causes fainting in foes. White Strong electricity courses through the tips of its sharp claws. A light scratch causes fainting in foes.